Yinhawangka representatives and the Terra Rosa environmental team recently completed an initial environmental survey of the Nyimili Range. 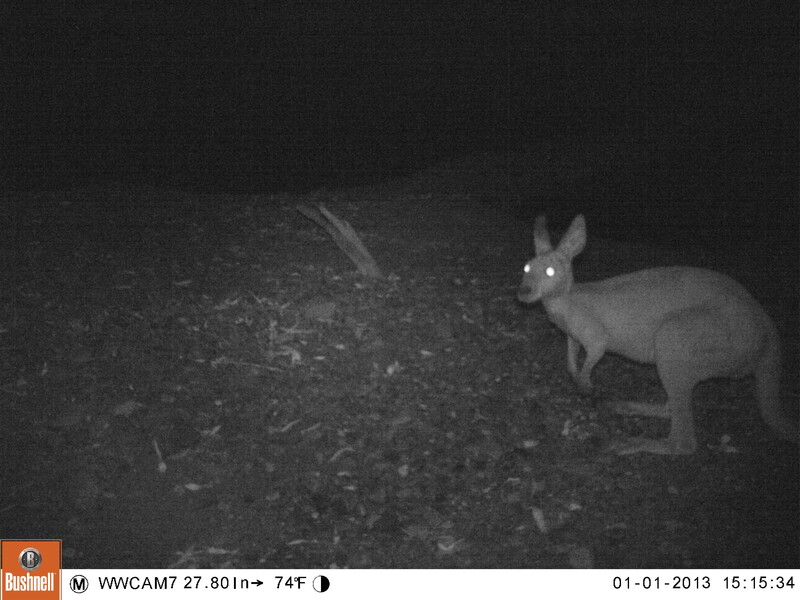 Using equipment like motions sensor cameras and Bat call detectors at several sites around the ranges, including caves, breakaways, and water pools, it was hoped to record the presence of some conservation significant species such as the Northern Quoll, Orange leaf-nosed bat and Ghost bat. Records of animals such as these would add significant environmental value to the range. The cameras that were put up during the five-day trip recorded animals like dingoes and dingo pups, goannas, birds and pebble-mound mice. The bat call detectors are still being analysed by experts to provide a list of the bats at the survey sites. Approximately 40 bird species were recorded during the trip, 5 reptile species, and 6 mammal species (not including bats). Issues such as weeds and introduced animal species were also noted, indicating the requirement to actively manage some environmental threats to the site.